So Christmas is over and most of you are back at work. But the busy party season means a lot of messiness to clean up. 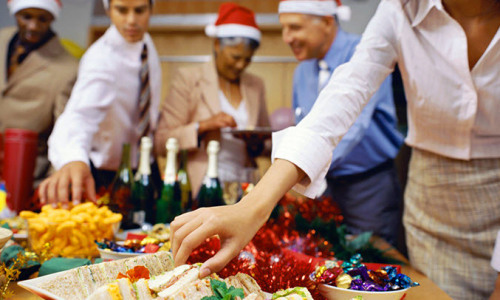 Give your office a fresh start in time for the new year – or maybe just your next party – with easy holiday cleaning tips. One thing that should also be managed in your office is cleaning services. Not all offices run the same, so you need to be very open with your cleaning company to make sure you’re on the same schedule. Some offices are open 365 days a year while other offices are closed for a couple of weeks during the holidays. There’s no way for your cleaning company to know that information if you don’t talk to them. A short conversation, phone call or email can coordinate your cleaning for the holidays and make sure your office is kept up as you expect. Communication is the key between you and your cleaning company. You’ll be able to make sure that the office remains in a clean and healthy state to keep you productive during the holiday season. Your holiday schedule could affect the current schedule you have in place with your cleaning company. This could not only affect the days that your cleaners are coming in, but also the tasks that they are doing. If you work with your cleaners and speak openly about your holiday hours and what services you expect during that time, it will benefit both parties. This with ensure that you’ll be coming into the clean office. Look inside your office fridge. If your office was closed for some days and someone left a tuna sandwich, cut tomatoes or cheese in there - you came back to a nasty surprise! Make sure this is something that you and your staff are looking after, or if your cleaners are responsible for your fridges, make sure they always remember to clean it when appropriate. Your employee fridge is one of the most important things to keep clean as that directly affects the health of your staff. Take it upon yourself to make sure your perishables are out of the fridge, that way everyone can do their part before they leave on holidays. Another piece of your office is the garbage bins. If your office is open during the holiday season, your garbage should be taken out at normal intervals. Again, this is something you should be speaking to your cleaning company about. But, if your office is closed for any length of time, it’s something to be conscious of before everyone leaves. You don’t want the garbage from the office to leave the entire time everyone is on holidays. Holiday cleaning will be easier without those extra items. You may also go through the cards you got in the mail, and make a list of who sent them to you. Use this as a thank-you list or the start to your Christmas card list for next year. Throw the ones you don’t want to keep and your after-party cleaning will be well underway. Tradition would tell you that they should come down 12 days after Christmas, but it’s up to you. Holiday office cleaning will not only have your office clean and organized for the holiday season, but will also prepare your business for a busy new year.